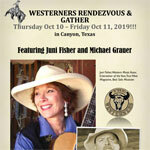 Westerners International is committed to fun and scholarship in and about the American West. Add great company, exciting programs and publications, fellowship opportunities for young people, and the still wide-open Western landscape, and you’ll know what we’re about. As historian Ray Allen Billington put it: “Westerners share a dislike for stuffed-shirtism, over-seriousness, shiftless thinking, and above all ignorance.” We happily follow Billington’s trail! 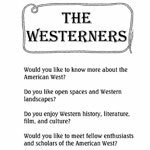 Westerners was founded in 1944 and has over 60 corrals (or chapters) in the US, and 20 corrals abroad, with over 4,000 members around the globe. 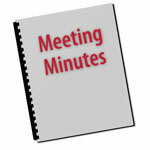 Corrals generally meet monthly for camaraderie and interesting programs on all aspects of Western history. Anyone who loves the lore and history of the American West can join. Members range from local history buffs and readers and viewers of Western movies, to professional historians, educators, writers, and artists of all kinds. See our Corral list for a group near you! How do you form a Corral? It’s easy. Just email, call, or write to us at the Home Ranch. Contact us anytime. We hope we’ll see you along the trail! 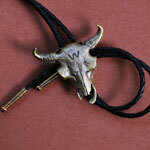 Old Joe Buffalo Bola Tie - $25.00, Shipping Included!